This support note will guide you through the process of changing the terminology used for the profit lines in Calxa reports. An example of this could be changing the words Net Profit to Surplus/Deficit. 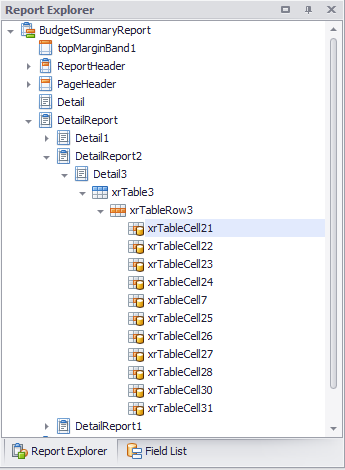 It is assumed that you are familiar with the Report Designer. If this is not the case you should first read Report Designer: General Concepts. You should replace the highlighted text with your preferred terminology. For example, if you wanted to change Net Profit into simply Profit, change the highlighted Surplus/Deficit text into Profit. 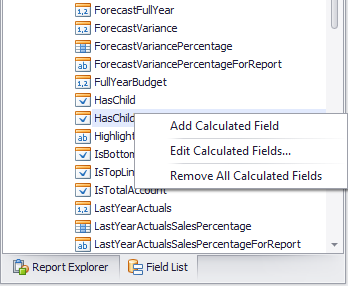 [NameForReport] may differ depending on the type of report you are customising, but this field is the field that is bound to the account name column. When you are finished editing the field, click on the OK button. 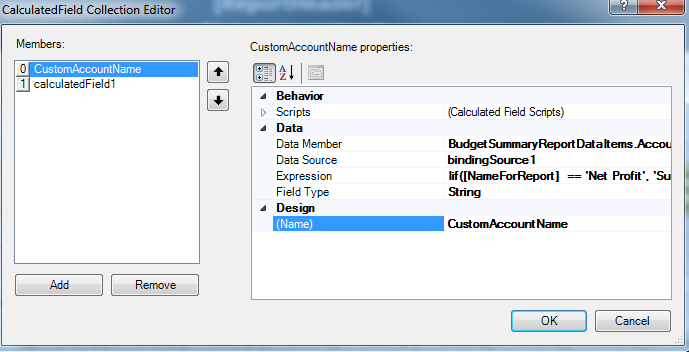 Then drag and drop the new field to the [AccountsList.NameForReport] data binding field.